Hawaii; scale 100 µm. J.M. Huisman. © J.M. Huisman. 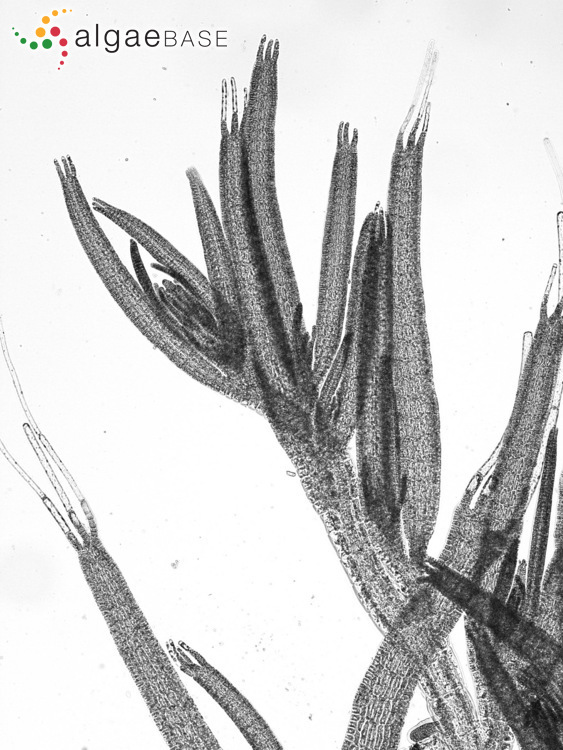 This is the type species (holotype) of the genus Taenioma. Type locality: San Agustín, Oaxaca, Mexico (Agardh 1847: 16). Type: LD herb. alg. Agardh 43342, 43343 (Yoshida 1998: 997). Notes: Dawson (1962: 83) notes that the type locality is listed as San Agustin, Mexico which is 'presumably along the coast of Oaxaca in the Isthmus of Tehuantepec region'. 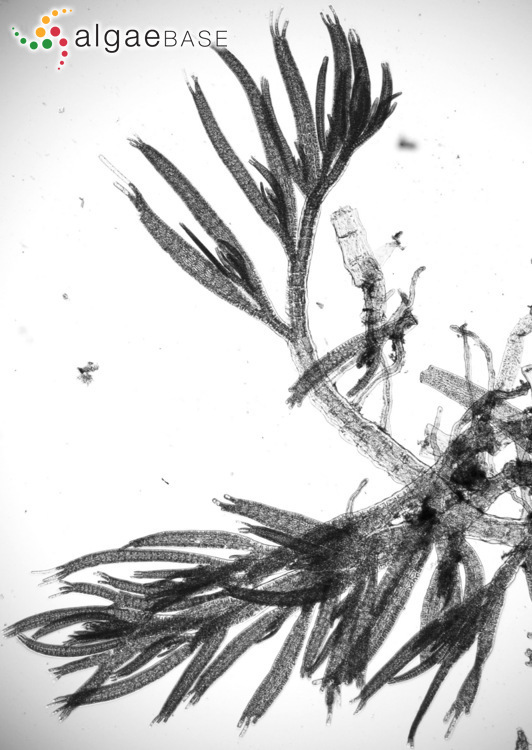 Womersley (2003:21) notes that the holotype was collected from San Augustin, Mexico, by Liebmann and that it is in Herb. Agardh. LD (43343). South & Skelton (2003) cite Taenioma nana (Kützing) Papenfuss 1952 and Polysiphonia nana Kützing 1849 as synonyms of this species. Tropical and subtropical oceans, extending into cool temperate regions. Usually occurs as a mat on rock above or below low tide level (Womersley 2003: 21). Accesses: This record has been accessed by users 1797 times since it was created. Papenfuss, G.F. (1964). 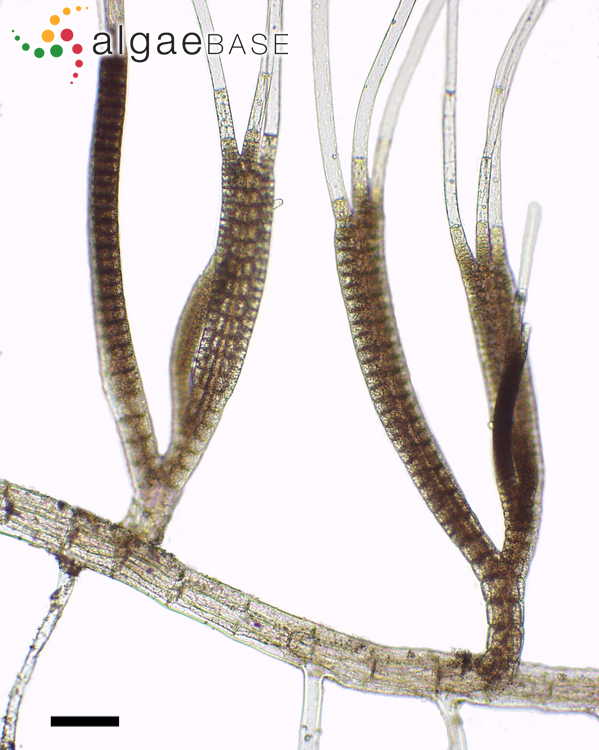 The development of the sexual organs and the cystocarp in Taenioma perpusillum. Journal of the Indian Botanical Society 42a: 159-166. Sartoni, G. & Salghetti, U. (1987). 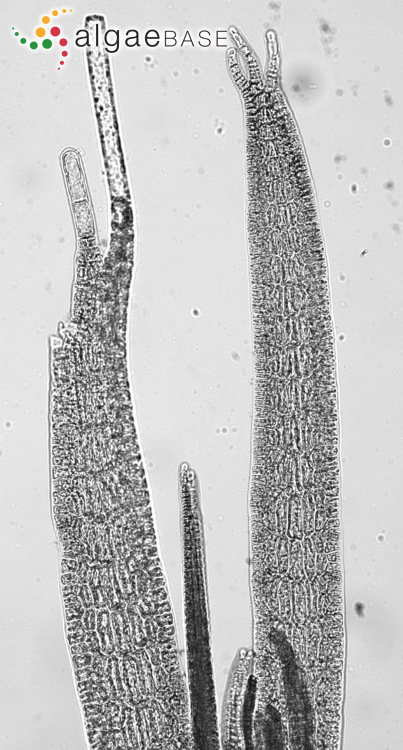 Osservazioni morfologiche in Taenioma perpusillum (J. Agardh) J. Agardh e T. nanum (Kuetzing) Papenfuss (Delesseriaceae, Rhodophyta). Informatore Botanico Italiano 19: 144-154, 6 figs.